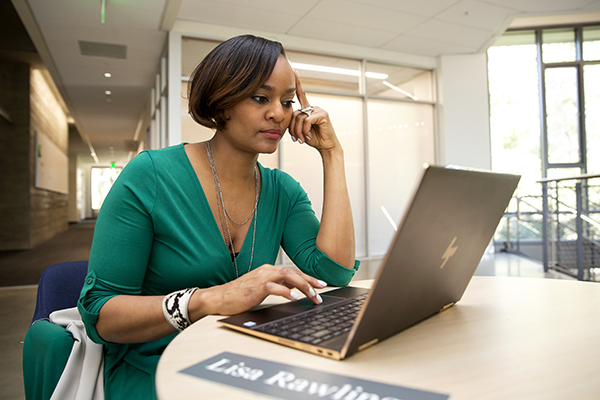 Lisa Rawlings, EMBA19, acknowledges that business and finance is a world away from social work. But the chief of staff of the Courts Services & Offender Supervision Agency in Washington, D.C. is finding parallels between the two realms that may help her deal with systems long in need of reform. You have an undergraduate degree in public health, a PhD in social work, and now have a top job in the criminal justice system in Washington, D.C. What made you think going back for an MBA was what you needed next? Right! At so many points in my career, whether it was working in child welfare or in refugee and immigration services, and now in the criminal justice system, it had begun to feel like I’d been trained to manage difficult problems, but not to really solve them. It was Albert Einstein who said you can’t solve a problem with the same consciousness that created it. And I knew I needed a new lens and a new set of tools. When I looked around at where innovative solutions were emerging, I saw that in the business sector, especially in entrepreneurship, people were challenging long standing assumptions: pulling things apart and putting them back together in new ways to solve vexing problems. I knew I needed to learn how to do that for the social problems I was concerned about. Your jobs and your education have mostly been on the East Coast. What drew you out here to California and the Berkeley MBA for Executives program? I knew I had to be with kindred spirits. It was important to be in a place where there was not only rigor and excellence but also a belief that business can and should do good for the world. 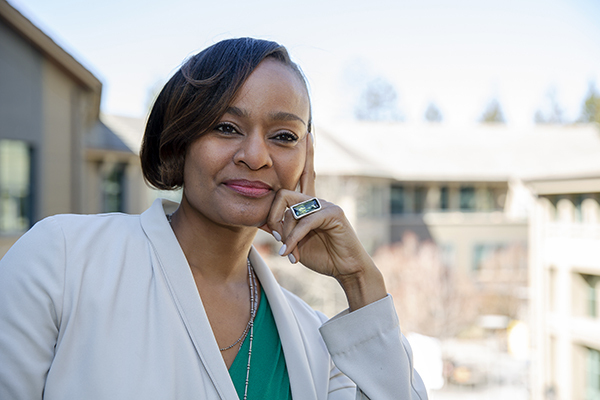 There were schools on the East Coast that would have been a lot more convenient, but when I visited Berkeley Haas—met students and experienced them actually living the Haas Defining Leadership Principles – I knew I was in the right place. Berkeley has become this safe space away from it all where I can completely shift my perspective, learn new tools, and contemplate new concepts. With your background in social work, do you think there will be practical benefits to getting an MBA? Yes, absolutely. I believe that sharing a common language and training is such a powerful tool for bridging understanding. For example, one of the concepts I found as a useful metaphor was compounding. In finance, interest compounds and grows exponentially. In social work, adversity, stress, trauma can compound over a lifetime and across generations until they lead to intractable social problems. Professionally, I’m interested in pivoting into responsible business practice and social entrepreneurship. In business, the clear assumption is that the goal is to maximize profits. That’s not the driver in the social sector. But it’s critical to understand the levers of business and how they interact and perhaps how they can be enhanced and/or tempered to help create sustainable social-sector solutions. I’ve seen that a lot of people in MBA programs come from engineering or other highly technical backgrounds. They are used to having formulas and spreadsheets to neatly tackle problems. Some can even be tempted to apply these approaches to working with people. But people are messy and unpredictable. I appreciate that Haas’ leadership development approach requires self-reflection, relational skill-building practice, and the study of situational context and nuance. These resonate deeply with my social work orientation and belief that it’s these softer skills, coupled with integrity and judgment, that make or break effective leaders.